The second book in a new series written by the fabulously talented Michelle Robinson. A magical sing-along birthday adventure for little pirates everywhere, based on the lyrics of the Happy Birthday song! Climb aboard the birthday pirate ship for a magical treasure hunt with your trusty crew and a very rude parrot! 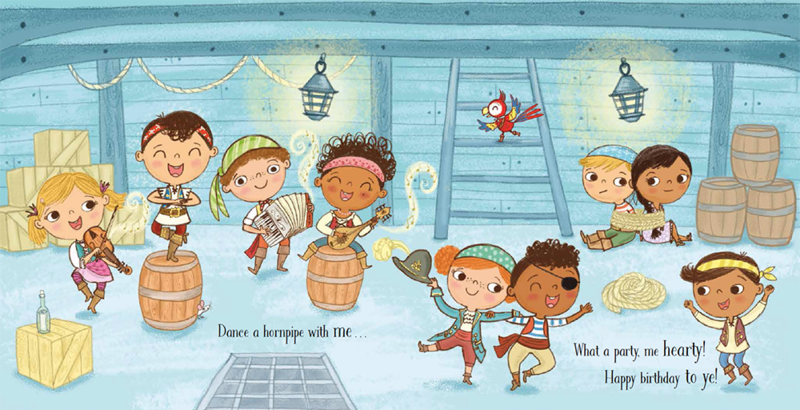 Based on the lyrics of the Happy Birthday song, this swashbuckling adventure is the perfect treat for any little pirate on their special day.